'Moor' Zogoiby, only son of a wealthy, artistic Bombay family, finds himself at crisis point. After a tragic love affair, he plunges into a life of depravity in Bombay before leaving for involvement in financial scandal in London and, ultimately, violence in Spain. From the author of MIDNIGHT'S CHILDREN. What do we do when the world's walls - its family structures, its value-systems, its political forms - crumble? The central character of this novel, 'Moor' Zogoiby, only son of a wealthy, artistic-bohemian Bombay family , finds himself at such a moment of crisis. His mother, a famous painter and an emotional despot, worships beauty, but Moor is ugly, he has a deformed hand. Moor falls in love, with a married woman; when their secret is revealed, both are expelled: a suicide pact is proposed, but only the woman dies. 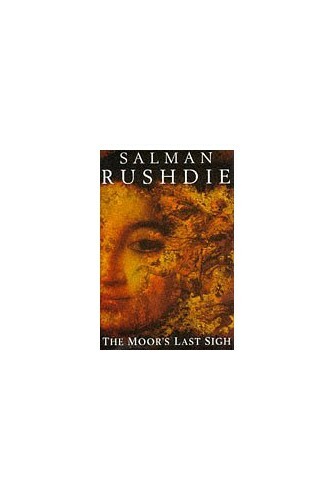 Moor chooses to accept his fate, plunges, into a life of depravity in Bombay, then leaves for London where he becomes embroiled in a major financial scandal. The novel ends in Spain, in the studio of a painter who was the lover of Moor's mother: in a violent climax Moor has, once more, to decide whether to save the life of his lover by sacrificing his own.